Basically, I got out of the house and wore real clothes, and it was amazing. 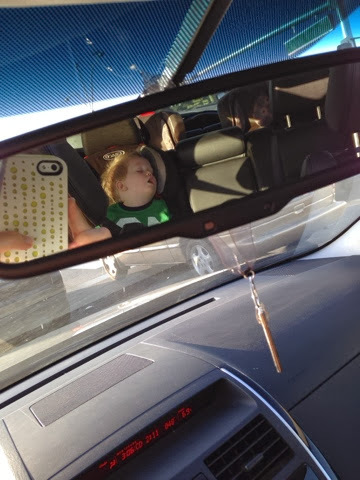 I did, however, let Little Man skip naps for all this fun shopping with grandma & mommy time. Aaaaand that is how I ended up parked at the bus stop listening to podcasts in my car for 45 mins. I would type some more words here, except my fingers keep getting all stickified from the apple cider caramels I cannot stop eating. Let's all forget about this when my pants no longer fit, mkay? Now I have nothing for tomorrow. WAY TO GO, SELF!